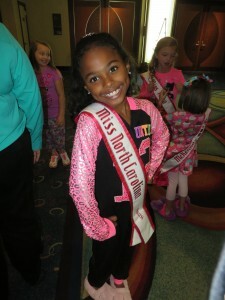 Farewell from your 2013 Miss North Carolina Princess, Niyah Marie Smith. 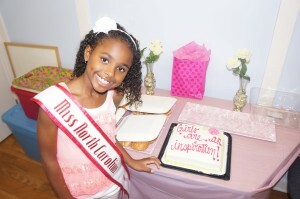 Farewell from your 2013 National American Miss North Carolina Princess, Niyah Marie Smith. Wow! Being the 2013 Miss North Carolina Princess has been an experience like no other. From the moment I first arrived at the 2013 NAM pageant last year, I knew that I would forever be changed. I met the most amazing girls, had a great time, and met friends that would last a life time. During this past year, I have been able to give back to my community and volunteer my time reading to young children at the Jordan Center, assist with the book mobile, travel to Charlotte, to work with the Teach Boys and Girls Success program, volunteer at the light the night walk for the leukemia and lymphoma society, meet the governor of North Carolina, march in the MLK parade, attend the North Carolina open calls and training sessions, and get to know my wonderful North Carolina sister queens. 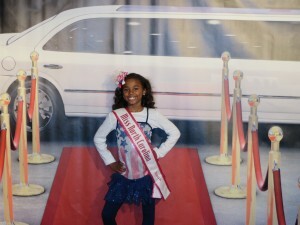 My trip to the National Pageant in Anaheim, California was amazing! I got to meet girls from all over the US, go to Disneyland for the first time, tour Hollywood, and hang out with my new friends. I even made it to the top ten finalists. Not bad for my first nationals ever! To each and every one of you, I want to say, shoot for the stars, no one can stop you from reaching your full potential, and to my successor, enjoy your year of reign, you will never be the same. 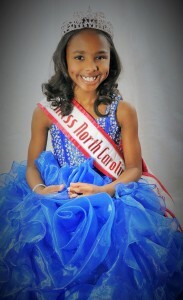 I am your 2013 Miss North Carolina Princess, Niyah Marie Smith. Author Matt LevertonPosted on July 22, 2014 March 31, 2016 Categories farewell, Former Queen, north carolina, Pageant Stories, pictures, RoyaltyTags carolina, farewell, marie, nam, namiss, niyah, north, pageant, pageants, princess, queen, says, smithLeave a comment on Farewell from your 2013 Miss North Carolina Princess, Niyah Marie Smith. 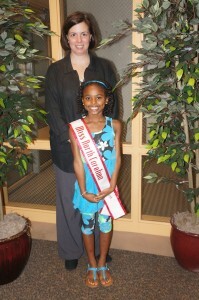 Niyah Smith, Miss North Carolina Princess, donated books at the Jordan Child and Family Enrichment Center. 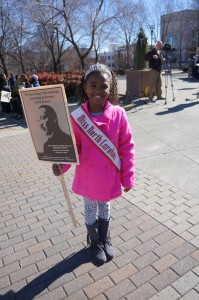 Niyah Smith, National American Miss North Carolina Princess Queen, donated books at the Jordan Child and Family Enrichment Center. 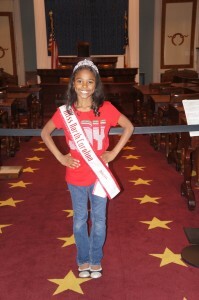 Niyah Smith, 2013 Miss North Carolina Princess has been handing out the donations given to her at the National American Miss North Carolina pageant. 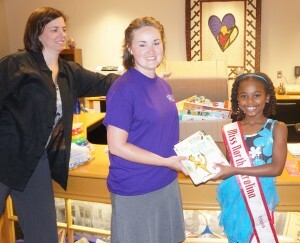 She donated some of the books she received to the Jordan Child and Family Enrichment Center. The Jordan Child and Family Enrichment Center is dedicated to helping children who have been through revolving short-term foster placements, who were born addicted to drugs, and who’ve suffered abuse and neglect. 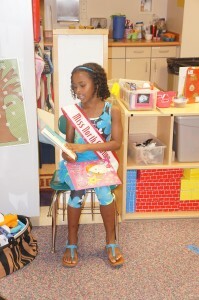 Niyah also read to a group of children, ages 4-5, at the Center. 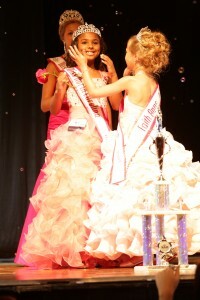 When she was done she got to tell the kids all about the National American Miss pageant that she won. She was very excited and enjoyed her day very much! 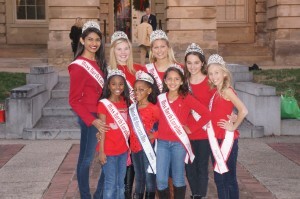 Author Matt LevertonPosted on October 16, 2013 April 2, 2016 Categories Community Service, north carolina, pictures, RoyaltyTags and, at, carolina, center, child, enrichment, family, her, Jordan, nam, namiss, niyah, north, pageant, pageants, princess, queen, smith, time, volunteersLeave a comment on Niyah Smith, Miss North Carolina Princess, donated books at the Jordan Child and Family Enrichment Center.